Although this story topic had been in the Nofendersville Hopper way before listening to another weekly episode of Speed Freaks, (Jan 8th) the topic regarding Carl Edwards Shock retirement vs. 'lil E's continuing bout with Concussions seems to coincide timely with this story, especially regarding Dale Earnhardt Jr's current dependency upon eyeglasses to settle his affected vision. As I'll confess, I rarely think of the name Peter Gregg when contemplating motor racing - primarily Sports Car racing, especially since he'd departed the scene before I became completely imersed in this wonderful form of sports just over three decades ago. That said, what little I did know about the late Mr. Gregg was his ownership of Brumos Porsche, which sported the legendous' No. 59, along with his association with racing partner "Mr. Daytona," aka Hurley Haywood. Thus, naturally I was surprised to learn of Peter's brief association with rival German marque BMW, which I first learned about when visiting America's Car Museum last October, for which I've chronicled this outing plus other BMW lore recently on No Fenders. And while I'm not gonna reinvent the wheel or corresponding lug nuts; I'll partially chronicle some of the late Peter Gregg's racing accomplishments, albeit there seems little substantive information regarding the Bavarian Motor Werks era, since after all Gregg who'd bought Brumos Porsche in 1965, began racing cars in predominantly orange hue, specifically Porsche 914/6's in order to promote his Porsche Dealership. As he and co-driver Hurley Haywood, who finished an impressive fifth overall and first in the GTU Class at Sebring in 1972 driving a white Porsche 911, foreshadowed the duo's and team's impending greatness. Gregg and Heywood would claim the team's first overall 24 Hours of Daytona victories in '73, along with Gregg's lone Sebring 12hrs win that year. Nineteen seventy-four saw NO racing occurring Stateside due to the ongoing Arab Oil Embargo, before Peter & Hurley scored their second Daytona 24hrs victory. Meanwhile, BMW introduced the evocative "Batmobile" 3.0CSL to North American endurance racing, where both cars failed to finish at Daytona. Yet while one BMW retired, another won the 12 Hours of Sebring overall with the stricken car's drivers Sam Posey and Hans Stuck joining the winning tandem of Brian Redman and Alan Moffat - scoring BMW's maiden major victory in North America. Alas, as far as I can tell, Peter switched allegiances to BMW for one single year, 1976 due to IMSA's Camel GT Challenge series being loathe to allow the exotic FIA Group 5 bodywork and turbocharging of Porsche's blown 911 variant's. Thus Gregg along with co-driver Brian Redman raced aboard the team's primary No. 59 entry, albeit Peter subsequently got sick during the event and Seester car racer John Fitzpatrick was drafted in to spell Peter, with Gregg becoming Daytona's first three times consecutive 24 Hours winner. Gregg was less fortunate at Sebring and Circuit de la Sarthe that year. Apparently the "Red Mist" got hold of Peter, as he and front row combatant John Greenwood in his monster Big-block Corvette effectively took each other out when colliding halfway thru lap-1! For that summer's 24 Heurs du Mans, Gregg and Brian Redman, entered in the #41 BMW Art Car - "Werks" team's entry Did Not Finish, (DNF) placing 51st overall. The Seesters' Factory BMW Motorsport/Alpina No. 42 BMW 3.5CSL entry, w/Sam Posey behind the wheel finished 10th overall, the highest placed BMW at Le Mans. Yet for 1977, IMSA relented on the influx of Space-age Bodywork, and Gregg promptly returned to Porsche's, now armed with the potent 934 turbo Panzerwagon - before the onslaught of the Killer 935's and ultimately 962's, the latter Peter never drove. As his final Rolex 24 victory came aboard the Seester' #99 Porsche 935/77A of Rolf Stommelen And "Tony" Hezemans; as Peter was entered in both Brumos entries that year, and hence is also credited with a ninth place finish as part of the Brumos No. 59 shared with Brad Friselle and Claude Ballot-Léna. While Gregg raced in Europe and obviously had links to both German Auto manufacturers Porsche and BMW. 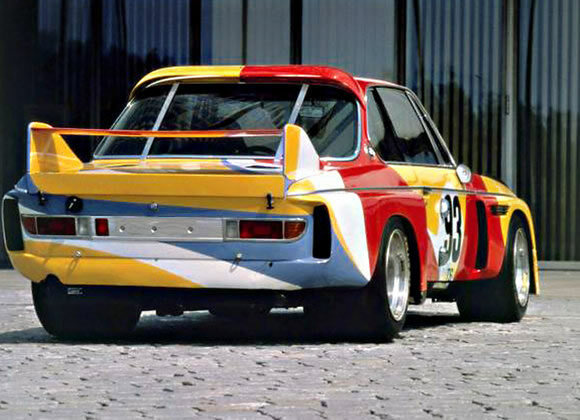 Peterson did drive various BMW Saloons, including a BMW 3.0CSL for the '75 Daytona 24hrs race, before being replaced by Alan Moffat for Sebring. Later, Ronnie was possibly part of BMW's 320I Turbocar' effort, successor to the winning CSL models. Although contrary to popular belief, I cannot find any information substantiating that he was part of the David Hobbs Pole winning 320i for the '77 12 Hours of Sebring; ironically campaigned by McLaren North America! Thus, I've got zero idea what other BMW Saloons Peterson drove during the late 1970's, although most likely either European version of the 320 racecar, while he & Peter definitely traveled in the same circles. 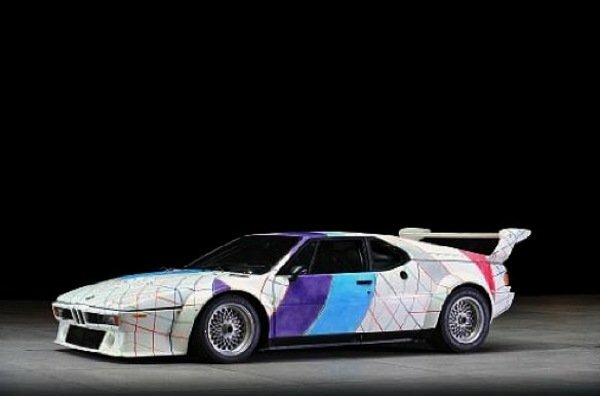 Whilst the car that grabbed my Attenzione towards this whole Gregg-Peterson connection is the BMW M1 Art Car painted by Frank Stella, which briefly mentions the trio "Paling Round" in Europe, allegedly having begun their friendship during the '77 24 Hours of Nurburgring. Peter and Frank Stella were in Monza, for the 1978 Italian Grand Prix where tragically Peterson would endure multiple leg fractures during the race that subsequently led to his death the morning after. Meanwhile Gregg had already been badgering BMW Motorsports for the acquisition of a Group 4-spec M1 Procar racecar when available, which Frank Stella would paint, ultimately in tribute for the fallen "super Swede." In a further twist 'O irony, or fate? Stella would be Gregg's passenger when driving to Le Mans for the 1980 event, where Peter was to race alongside Al Holbert in a Porsche 924 Carrera GTS. Unfortunately Gregg was forced to swerve to avoid being in an accident, resulting in the pair crashing into a ditch with nobody injured. Yet the accident would have profound and life changing affects upon the celebrated American Sports Car Ace. As first Doctors wouldn't clear Gregg to run in that year's 24 Heurs du Mans due to his suffering from Double Vision. And although Peter would be cleared to run further IMSA Camel GT events a month later, Gregg still suffered vision issues which ultimately led to IMSA banning him from further races. Sadly, at age 40, on December 15, 1980, Gregg was found dead on the side of a Jacksonville road from a self inflicted gunshot wound, as he could no longer deal with his loss of racing due to his double vision, leaving behind a wife and two sons; Jason and Simon. While I was originally unaware of Gregg's suicide, this tragic ending immediately made me think of another great racer who also took his life from self inflicted gunshot wounds. As two time Indy 500 winner Tommy Milton, who was blind in one eye, yet raced with this affliction took his life in 1962 at age 68. As Peter Gregg simply was a BAD ARSE Racecar driver! Having amassed a staggering 152 wins during 340 starts - including 47 IMSA victories. He amassed a total of six IMSA GTO championships and two Trans Am titles to go along with his four 24 Hours of Daytona and Sebring 12 Hours victories. As his wife Deborah, who'd run the Brumos business with help from Hurley Haywood would take up racing, along with their son Simon. While Deborah subsequently sold Brumos in the 1990's, Brumos Racing would campaign the celebrated No. 59 until their demise in 2013.